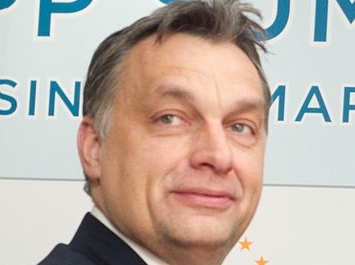 Hungarian prime minister Viktor Orban’s Fidesz looked within reach of a two-thirds majority in the parliament elected on April 6 2014, going by exit polls. A poll released soon after voting ended gave Fidesz 48 per cent in the new 199-seat parliament, the first elected after constitutional changes from 2012 that cut the number of seats in Hungary’s legislature from 386 seats to 199. The centre-left Unity alliance had 27 per cent, while far-right ultra-nationalists Jobbik appeared to have improved their performance from 2010, when Jobbik had 16.67 per cent in the second-round vote of the time, to a current 18 per cent, going by the same exit polls. Voter turnout in Hungary’s April 6 2014 elections appeared set to be lower than in 2010, at something more than 57 per cent. Apart from the change in the number of MPs, this also was the first election to be held in a single round, after the 2012 constitutional changes. Fidesz campaigned in particular on the benefits it claimed that it had achieved for consumers in Hungary, notably by cutting household utility bills. Orban’s party also had on its side an improving economy, a claim that Orban had succeeded in redressing the mess left by the previous eight years of socialist government, decisive control of influential media outlets and political underperformance by the centre-left opposition.